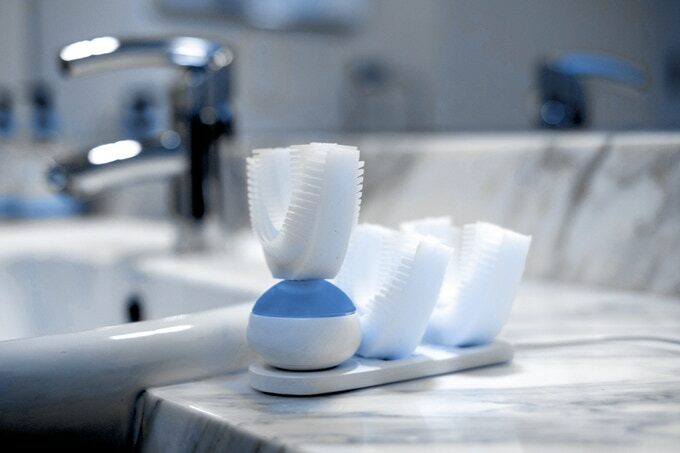 Amabrush is the world’s first, fully automatic toothbrush. This patent pending device brushes all your teeth at once, fully automatic, and finishes in just ten seconds. 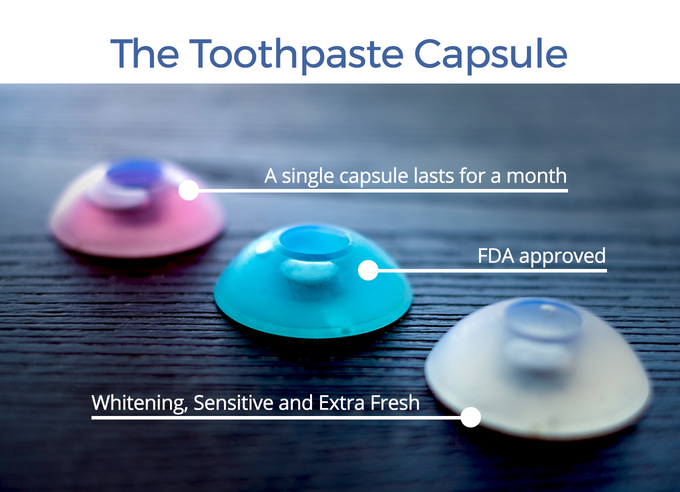 All you have to do is press a single button, wait ten seconds, and you’ll have perfectly clean teeth! All you have to do is press a single button, wait ten seconds, and you’ll have perfectly clean teeth! 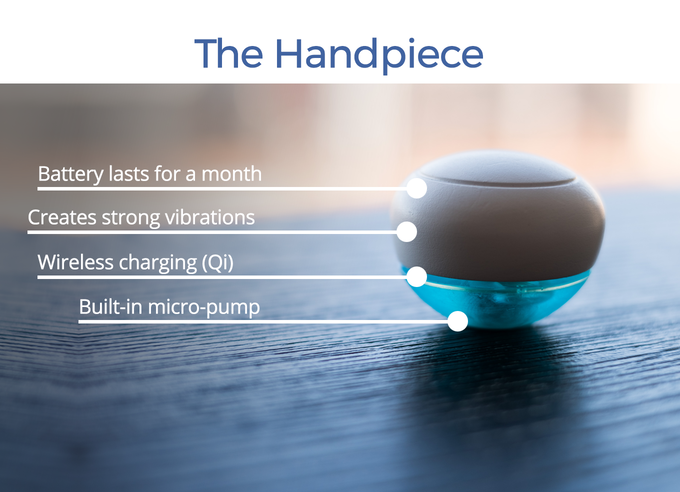 Amabrush—a device invented with a single goal: to make toothbrushing quicker, automatic, and more efficient so you have more time for the relevant things in your life. 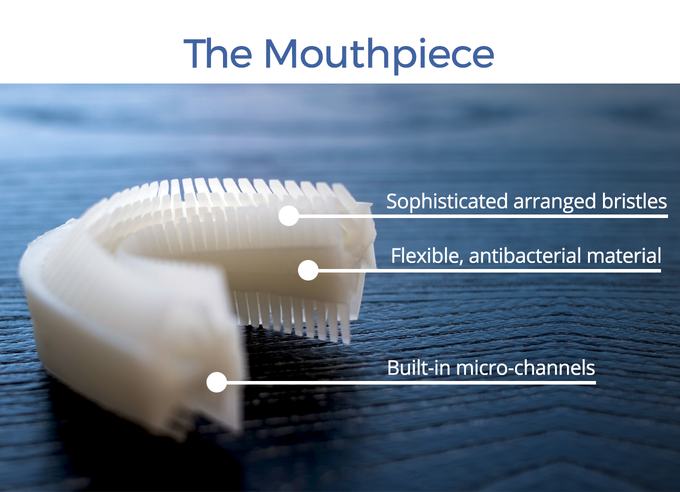 The flexible mouthpiece has built-in micro-channels that transport the toothpaste to your teeth. 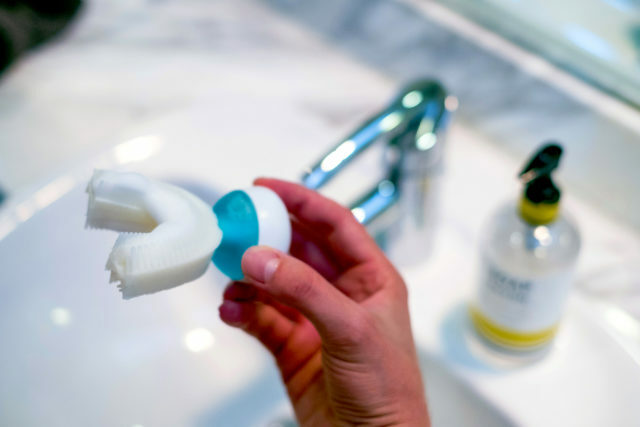 The mouthpiece is made of antibacterial silicone that kills 99.99% of all bacteriaand features 3D-arranged bristles on both sides to clean your teeth. The bristles are directed in a 45° angle against your gingival cuff. This simulates the Bass method, which is recommended by dentists and experts. The bristles are comparable to soft-bristled toothbrushes. Amabrush can be charged with Wireless Charging Station. The handpiece contains all of the complex technology. It creates strong vibrations with an amplitude of 9.5G to oscillate the bristles and clean your teeth. As with regular manual toothbrushes and electric toothbrush heads, the mouthpiece should be replaced every 3-6 months. Amabrush is for people like us – who just brush their teeth because they have to, and not because they want to.